From left: Sara M. Allinder, Mariam Claeson, Athalia Christie, Thomas C. Quinn, and Lanice Williams. Photo courtesy of CSIS. With the Time’s Up and Me Too movements, and the number of women elected to the U.S. Congress, the topics of women’s leadership, empowerment, and safe workspaces got much attention in 2018. But progress is needed in many areas, including in the global health field. Women comprise approximately 75 percent of the global health workforce but only 25 percent of leadership positions, and the gender pay gap is higher in global health than the global average for all other employment sectors. Women’s involvement is critical to reaching important global health goals and their voices are needed in upcoming policy discussions, such as the High-Level Meeting on Universal Health Coverage. Women’s health and leadership are interdependent; women need to thrive if they want to take full advantage of educational and career opportunities. Building on a legacy of effort on these issues over the last 10 years, including through the Women’s and Family Health Task Force and CSIS Commission on Strengthening America's Health Security, GHPC hosted an event focused on women’s leadership in global health on Universal Health Coverage Day. The event picked up the key themes from the 2018 Women Leaders in Global Health conference held in London in November 2018 and opened with a video message from the conference’s Steering Committee Chair, Heidi Larson. Sara Allinder, GHPC Executive Director and Senior Fellow, gave opening remarks and moderated a panel discussion that delved into critical obstacles to women’s leadership in global health and possible solutions through a diverse set of perspectives. Panelists included Athalia Christie, Senior Science Advisor, CDC Center for Global Health; Mariam Claeson, Director of the Global Financing Facility for Every Woman Every Child, The World Bank Group; Thomas C. Quinn, Director of the Center for Global Health, Johns Hopkins University; and Lanice Williams, Advocacy and Partnerships Manager, Friends of the Global Fight Against AIDS, Tuberculosis, and Malaria. Their discussion highlighted the key role of mentorship, ensuring men are part of conversations and solutions, raising awareness of the barriers that keep women out of leadership positions in global health, and the interdependence of women’s health and leadership. Ellen Starbird, Director of the Office of Population and Reproductive Health, USAID Bureau for Global Health, delivered closing remarks. Watch a live video of the event here. On December 19, GHPC hosted a half-day conference titled “Innovation, Partnership, and Self-Reliance: Health Policy Lessons from India’s Bihar State”. The event focused on the lessons learned from the Bihar Technical Support Program (BTSP), a Bill & Melinda Gates Foundation-funded program implemented by CARE, including how it addressed the public health challenges of Bihar while boosting the government’s capacity to create sustainable health systems for the future. We were honored to be joined by a distinguished delegation from the Government of Bihar, including Sushil Kumar Modi, Deputy Chief Minister; Mangal Pandey, Health Minister; and Sanjay Kumar, Principal Health Secretary. After brief welcome remarks from Sara Allinder, Deputy Chief Minister Modi described the partnership between CARE, the Gates Foundation, and the Government of Bihar as an example of a successful framework for future multilateral health partnerships. The first panel of the conference, moderated by CARE Chief Operating Officer Heather Higginbottom, gave an overview of the BTSP and its achievements through remarks from Mangal Pandey; Usha Kiran Tarigopula, India Country Lead, State Health and Community Systems at the Bill & Melinda Gates Foundation; and Hemant Shah, Chief of Party, Bihar Technical Support Program. The subsequent panel discussion focused on the role of data and innovation in the BTSP, since technological innovation was critical to the success of the program, especially for the most marginalized communities in Bihar. The panel, moderated by Sara Allinder, featured remarks from Sanjay Kumar; Angshuman Deb, Executive Architect, IBM Watson Health; and Macon Phillips, Chief Digital Officer, CARE. The third and final panel of the conference, which I moderated, aimed to identify how the lessons of BTSP can be applied to ongoing and future foreign assistance programs, financing, and partnerships, especially given the context of the World Bank’s Human Capital Project and USAID’s Journey to Self-Reliance Agenda. This panel included Gary Darmstadt, Associate Dean for Maternal and Child Health, Stanford University School of Medicine; Stuti Khemani, Senior Economist of the Development Research Group, World Bank; Madhu Deshmukh, Chief Executive Officer, CARE India; and Kerry Pelzman, Deputy Assistant Administrator for the Bureau of Global Health, USAID. This event was made possible through generous support from CARE. A recording of the full conference can be found here. 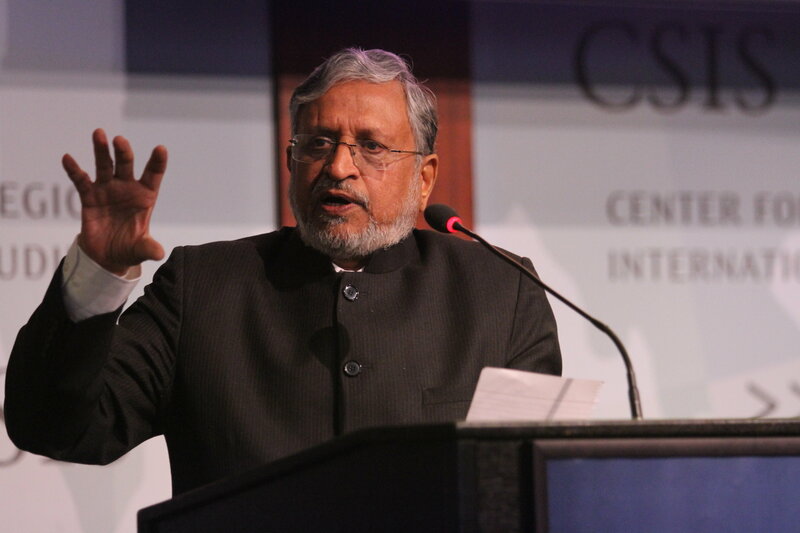 Sushil Kumar Modi. Photo courtesy of CSIS. Greater attention and resources to low-income country vaccination programs over the last decade have resulted in tremendous gains in immunization coverage. But coverage rates have now stalled, calling for new approaches to overcoming enduring barriers to health care access. 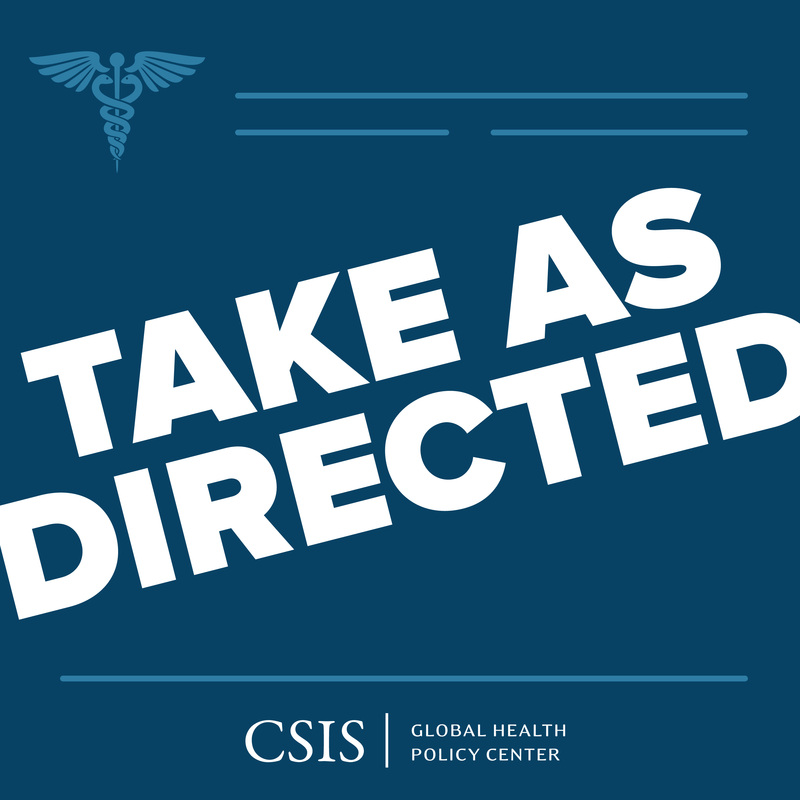 In this episode of Take as Directed, Dr. Orin Levine, Director of Vaccine Delivery for the Global Development Program at the Bill & Melinda Gates Foundation, joins GHPC Senior Fellow Nellie Bristol to discuss the potential of new technologies, strategies, and partnerships to improve vaccination rates and strengthen immunization systems even in the most difficult of settings. Upcoming episodes include: Dr. Robert Mwadime, a nutrition expert and Chief of Party based in Uganda; Michael Merson, Professor of Global Health at Duke University; Senator Ayesha Raza Farooq, Chairperson, Senate Committee on Delegated Legislation, Pakistan, and the former prime minister’s focal person on polio eradication; and Adrien de Chaisemartin, Director of Strategy, Funding, and Performance at Gavi, the Vaccine Alliance. Amy R. Beaudreault, PhD, recently joined CSIS as a Research Fellow focusing on nutrition. Dr. Beaudreault will support both the Global Health Policy Center and the CSIS Global Food Security Project. She brings to CSIS extensive experience in nutrition from health and agriculture perspectives, including most recently as the director of nutrition and health at the World Food Center at the University of California, Davis.